You don’t have to look far to find accounting software recommendations for small business owners. It seems every other month, there is a new article endorsing the latest and greatest accounting programs with all the bells and whistles entrepreneurs could hope for. But for those solopreneurs and micro business owners who may prefer a more hands-on approach or find their enterprises aren’t quite ready for the big accounting software add-on, Excel spreadsheets are a great option to put to use for your small business accounting needs. Although many entrepreneurs may limit their Excel spreadsheet use to their bookkeeping systems, as they see the program as better suited for tracking, posting and recording transactions, Excel can be just as nimble for accounting operations. With an understanding of the right formulas and basic processing methods, even the most math-phobic business owner will find Excel spreadsheets easy to navigate. Excel is a Microsoft Office program designed to help calculate, table, chart and compare data for current and future reference. And like most other Microsoft programs, its features are robust and can be used with as little or as much complexity as you prefer. Beyond simple bookkeeping, the accounting features in Excel can help you determine where your business stands financially, generate detailed reports, track lists of vendors, employees and customers, and prepare your records for tax season each year. Here are a few examples of how to use Excel spreadsheets for basic small business accounting. Entering data into Excel to maintain a record of your supply purchases, sales and expenses is relatively straightforward. Upon opening Microsoft Excel, start a new worksheet, and begin assigning labels to the columns that will contain the dates and numerical values for each order of supplies, each sale and each expense. Once your columns are labeled, enter the supply purchase, sale or expense amounts in each column in the appropriate row with the correct date. To see this simple process in action, here is a video tutorial that will walk you through the steps: How to Use Microsoft Excel for Small Business Accounting. In the previous tutorial, you may have noticed the instructor created sum formulas in Excel to calculate profit based on supply purchases, sales and expense data. Formulas help accounting professionals and entrepreneurs alike navigate the features of Excel more efficiently. 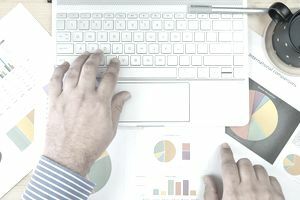 So before you dive into more detailed explanations of basic small business accounting with the data you entered into your Excel worksheet, it might be helpful to learn more about the tips, tricks and formulas that you can put to good use moving forward. Here is a handy video tutorial covering some of the most current and useful formulas in Excel: Top 25 Excel 2016 Tips and Tricks. Most entrepreneurs prefer to have the information related to their business’ profits or losses separate from other data. This allows them to review and compare their revenue during different times of the year, specific changes in their projects or workload, or for any number of conditions that may affect a company’s financial health. The best way to view this information separately is in a profit and loss statement (P&L) or income statement. Thankfully, Excel has ready-made templates to help you create, fill out and maintain a profit and loss statement as you operate your business. But it’s best to learn how P&L statements work manually regardless if you elect to use the templates provided in the program. To see how to build a simple profit and loss statement in Excel without the help of a template, here is a video tutorial that illustrates how to get started: Creating Management Accounts Using Excel: Profit and Loss Statement. Expense reports, sales reports, balance sheets, general ledger, you name it. If there’s one thing bookkeepers and accountants enjoy creating it’s reports. Luckily, Microsoft Office has made generating reports easier with each new Excel software update. As a business owner, creating reports are not something you prepare simply for your investors, business partners or a bank loan officer. Reports allow you to capture a general overview or a specific detail about your company’s financial health without a large amount of data to explain the conclusion. As such, they’re immensely helpful to you as an entrepreneur to gauge the state of your business at a glance, at all times. To learn how to generate simple summary reports, here is a video tutorial instructing how to build a sales report in Excel: Creating a Sales Report in Excel: Basic Level. Expense reports require a few different steps. To get started, here is a video tutorial instructing how to build an expense report or sheet: Microsoft Excel: Creating a Simple Expense Sheet. If you’re interested in adding more visual graphics to your reports that allow readers to better grasp the information, here is a video tutorial on how to create pivot tables, bar graphs and dashboards: Introduction to Pivot Tables, Charts, and Dashboards in Excel. And what would a small business accounting system be without a general ledger? Here is a thorough video tutorial on creating a general ledger for your business: Create a General Ledger Using Excel. If Microsoft Excel is a program you’ve rarely used prior to owning a business, it can seem intimidating despite its streamlined setup. However, there are professionals who use Excel on a daily basis who are still unsure of all the program’s most advanced features. It is this versatility and comprehensive accessibility that makes it well-suited as a tool for small business accounting. One way in which to ensure your entrepreneurial dreams can flourish and expand to the next level is to play an active role in your business’ accounting procedures. Starting with its most simple functions, small business owners can learn how to manage their financial records and grow their Excel skills along with their companies’ fiscal health. In addition to the video tutorials included above, Microsoft also has their own Excel training library that can help you refine your Excel skills so you can leverage the tool even further in your small business.